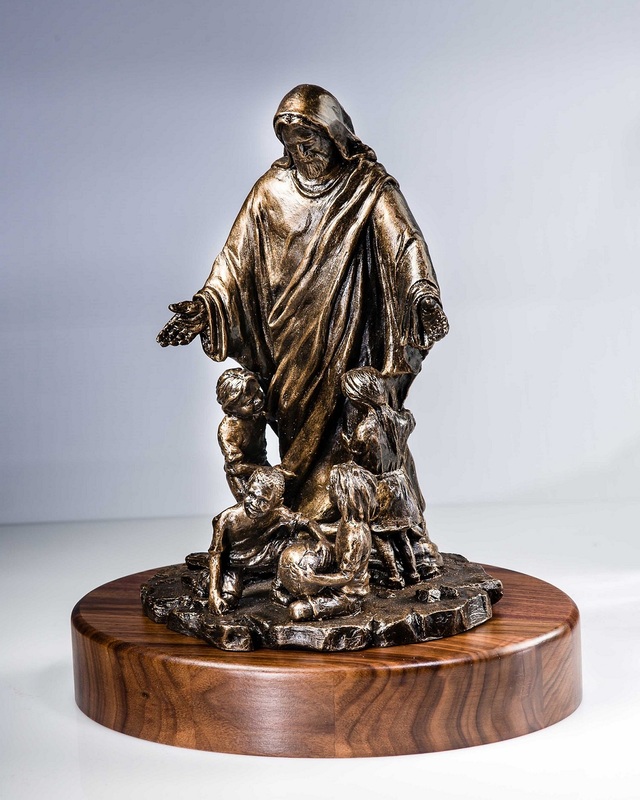 "Children of Light" by Mark Patrick is a Christian Art Sculpture that would make a beautiful addition to any church, office or home décor setting. It measures 10" H x 7" W x 6" D and comes with custom walnut base. 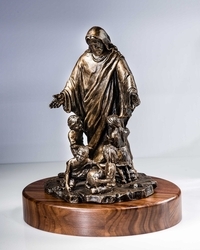 A double thick walnut base, as shown, is available for an additional $15.00. A personalized nameplate can be added to the walnut base for an additional $10.00 for up to 3 lines, $15 for over 3 lines. Whether you buy it for yourself or give it as a gift, you will love this reminder of God's goodness and unfailing love. It makes a great way to share your faith and anyone who receives it will treasure it. Copyright 2006-2019 lordsart.com. All rights reserved.